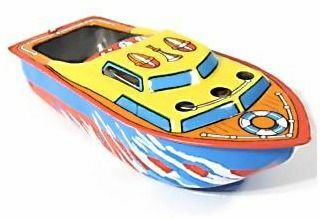 A colorful classic pop pop boat. Lithographed. As the candle holders are not compatible with our replacement candles, we will include an additional round candle / fuel holder.